For a stand mixer Hamelman calls for 900-1000 revolutions. This was 30 seconds on speed 1 to stir and 3 and one half minutes on speed 4, 968 revolutions total. *Edit: I do of course, just not end grain walnut. Well I'm trying not to gain weight but I can't help it, those bread are addictive, a lot of talented people here, look AMAZING. My new sourdough starter in growing nicely. 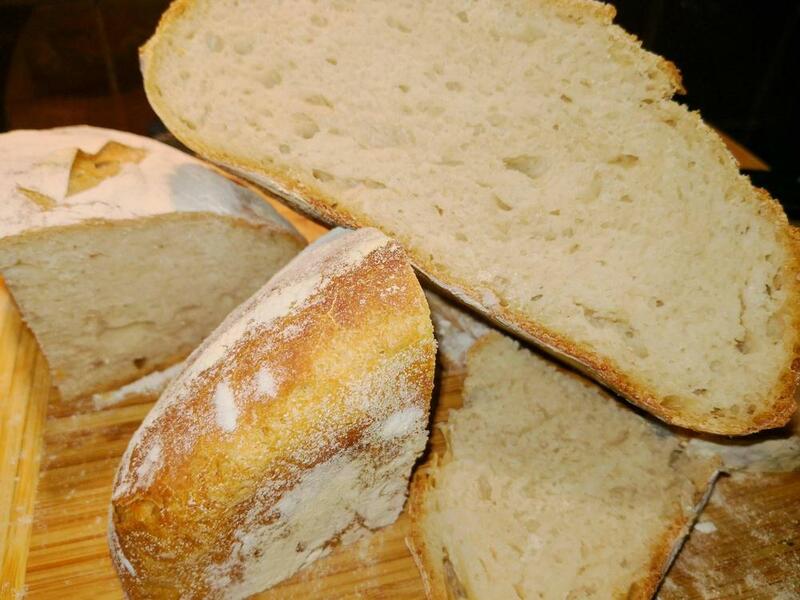 Today's recipe is KAF Sourdough Sandwich bread. I used a bit of my new starter to make what could be called a mini boule, total weight 250 gm following @Ann_T 's notes. I made the biga, let it sit overnight, and the next day added flour, water, salt and a tiny pinch of yeast. After mixing, I did the stretch and fold four times, and let it rise until double. This took three hours which surprised me. I deflated it, formed a ball and placed it in a banneton which I had coated with rice flour. I baked it in the CSO at 350, bread setting for 1/2 hour. At that point it was baked but a bit on the pale side so I gave it 5 minutes on convection setting and it was perfect. I did forget to slash the dough before I put it in the oven. Made a sandwich with a quarter of it for my supper and oh, my, is it good. 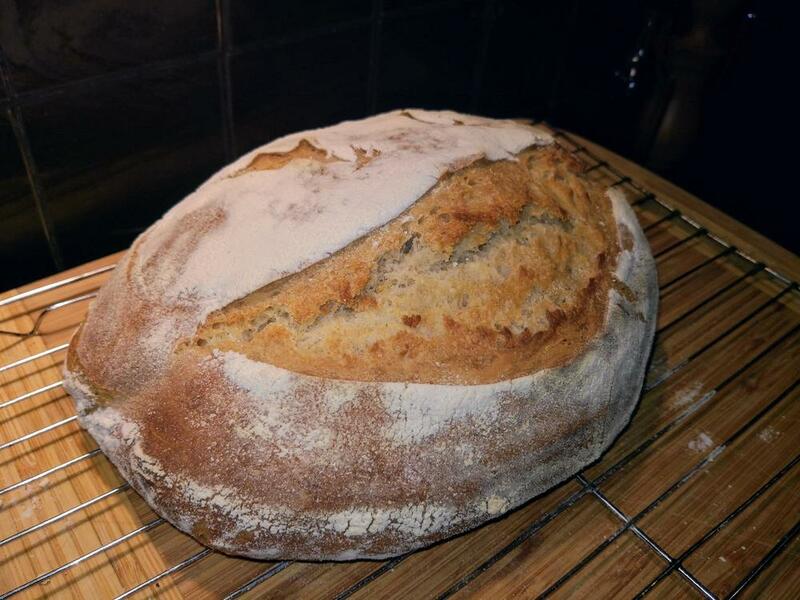 I have refreshed the starter with rye flour rather than white as I like the flavour it gives the bread. @ElsieD, Your loaf turned out great. How long did your round proof before baking? rye starter has more strength. 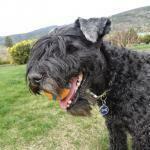 @Ann_T thank you. I did not time the second rise !but I think it was about an hour and a half. The first rise though, took about three hours. I've never had the first rise take that long, is that normal? Mind you, with the weather yesterday, it's not like I was going anywhere. My kitchen temp is around 23 C.
Both of those times are normal. Especially since you were using your starter after just the second stage. Even when I make my regular dough using just 4 to 5 g of yeast, it will often be a slow rise. I'm okay with a slower rise. Better flavour and crumb. Did you make the one using rye flour? No, did not this time. I may use some rye to feed going forward. 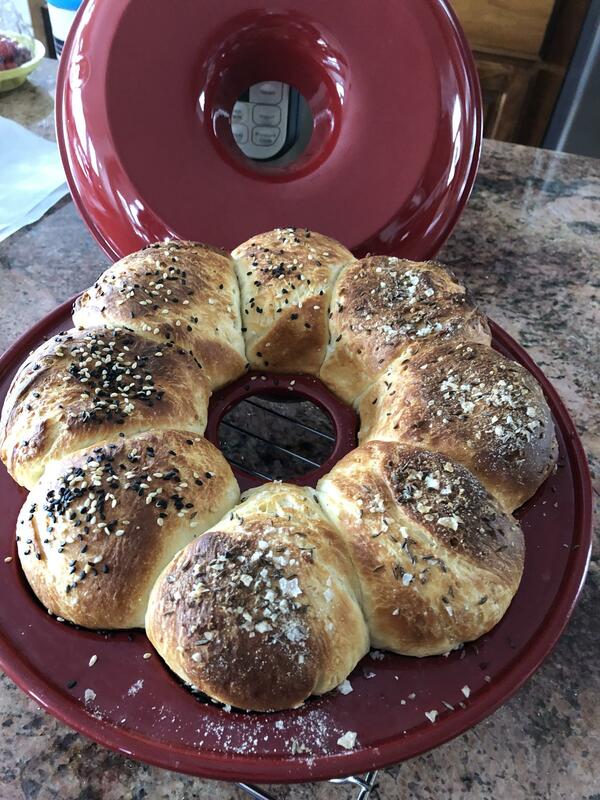 Today's bake is KAF's recipe for Kimmelweck rolls made in my new Crown Bread Pan. Today I made a couple of small baguettes. 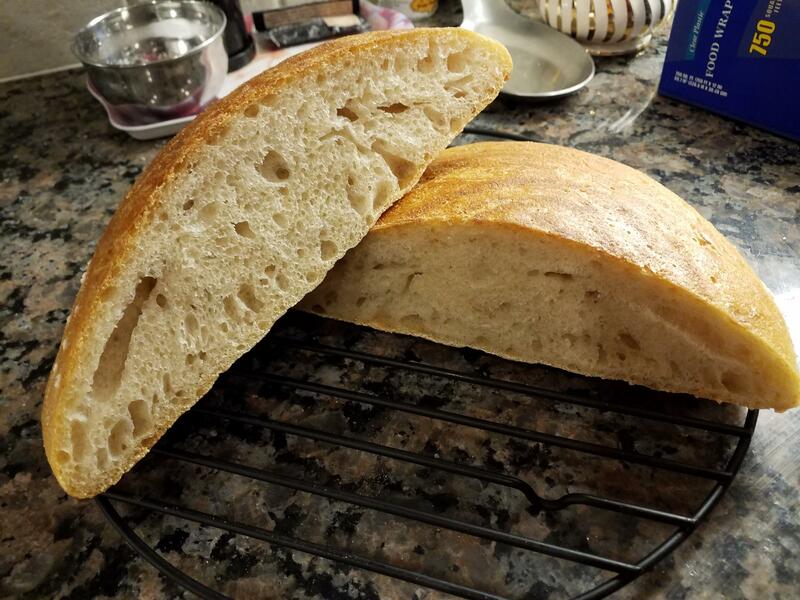 I made a biga using rye sourdough starter and left it out overnight and made the dough up this morning. I don't have much of a slash in the loaves because I keep holding back when I go to make those cuts for fear of the dough collapsing. I should have pulled them a few minutes before I did as they got a bit too dark. I'm pretty happy with how they turned out and we happily scarfed them down with our dinner tonight. That rye starter is amazing, dare I say foolproof. Mine is going gangbusters and us now in the fridge. Okay, you've convinced me. I will definitely make that happen when I use my starter next time. Right now my bread products have filled up my freezers. I'm probably going to bake another today and I'm hoping to have enough starter to make a Biga for the first time. 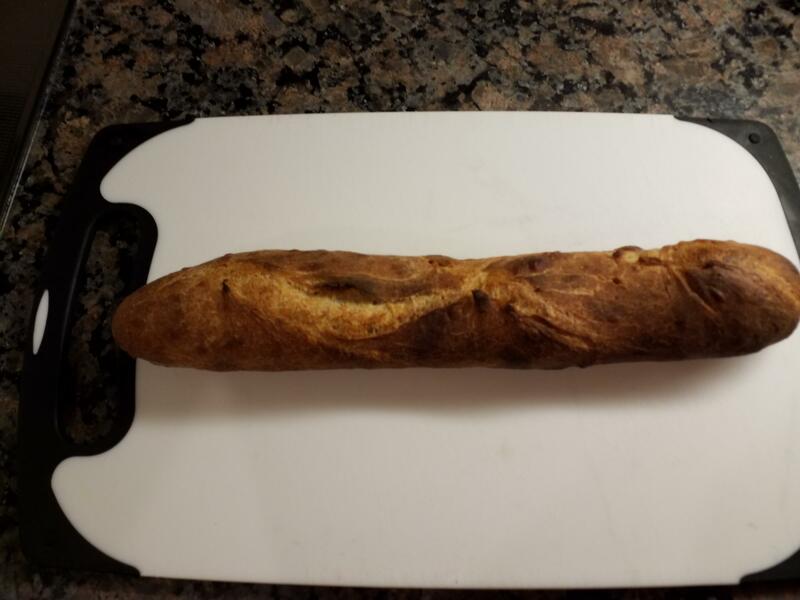 What do you all use to slash your dough prior to baking? I have been using a serrated bread knife sprayed with cooking oil. I approach this rather gingerly for fear my dough will collapse. Any advice? We use something like this. I'll try that. I was afraid the blade would catch in the dough if it wasn't sprayed which is why I sprayed it. I'll try it your way. I had one of those once and didn't like it. I no longer have it. Maybe some work better than others? 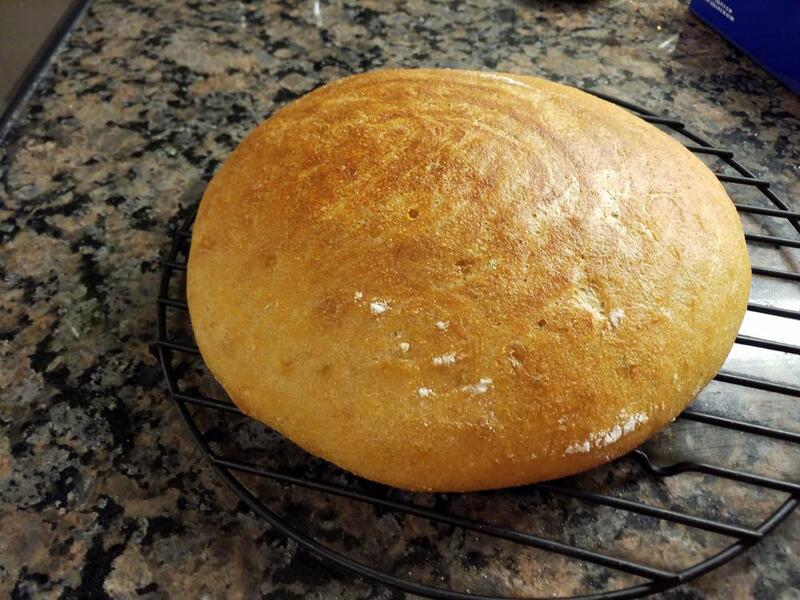 My DH is the bread maker and he said he liked it but took a little getting used to. I'd say neither serrated knife nor spray. I have a couple of lame but I usually just use a good sharp parring knife. I’ve been using an X-acto knife, the kind with the snap off blade. I used to have a lame but find this works better. @ElsieD, great bake. 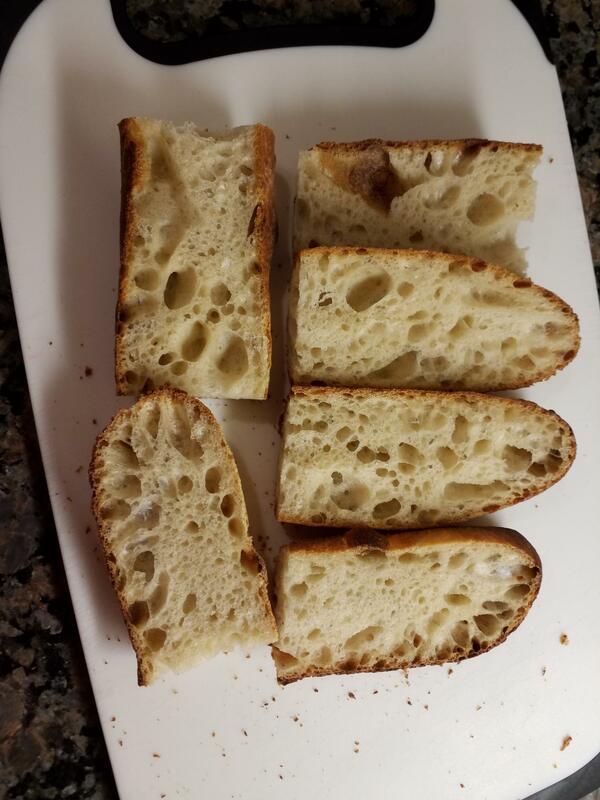 Look at that crumb. Nice and holey. And nothing wrong with your slashing either. I use a razor blade for scoring.